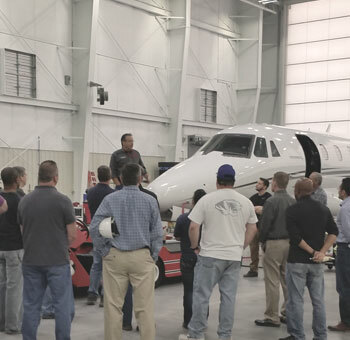 Staffed with a world class maintenance organization of highly skilled FAA Certified Aircraft & Powerplant (A&P) Mechanics. AeroTEC is positioned to manage your maintenance and aircraft modification work related to flight test. We have full machine shop/sheet metal capabilities onsite including 3 axis CNC mills and CNC Lathe for rapid prototype production of flight test parts. 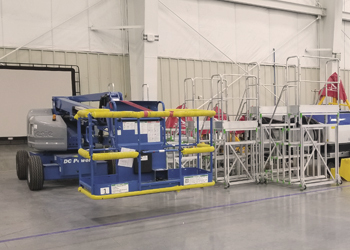 Our experienced team can perform aircraft modification for installation of special flight test equipment, while our program managers and Quality teams manage configuration control, parts logistics and ensures complete installations and preparation for testing. 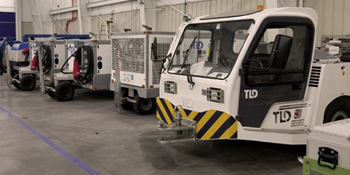 We fully manage ground operations related to flight test, including but not limited to; supplying full line of ground support equipment (GSE) capable of supporting nearly every Military, Business and Commercial class of aircraft, fueling services, ground crews, and managing specialized test equipment setup. We have direct access many owners and operators willing to lease their aircraft for installing and testing your products. Contact us for details. Both FAA and Transport Canada certified, the members of our expert flight dispatch team have more than 25 years of experience in domestic, international, and experimental flight test planning and coordination. We set ourselves apart by providing world-class customer support, attention to detail, and competitive pricing. AeroTEC’s facilities in Seattle and Moses Lake, Washington, allow us to provide testing, engineering, and certification services to aircraft OEMs and modifiers. Contact us to learn more about how our aircraft services can help your project take off.